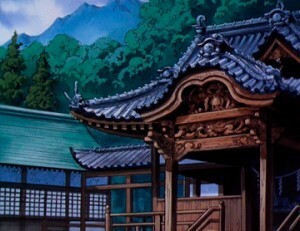 Tenchi ignored his grandfather’s warning to never go inside the cave’s shrine by his house. Now he has released a demon! 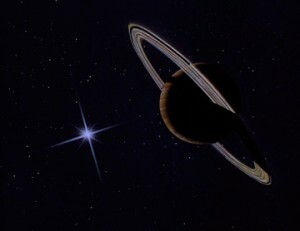 Ok, actually the demon is a really beautiful and dangerous space pirate name Ryoko, but she did destroy his school. 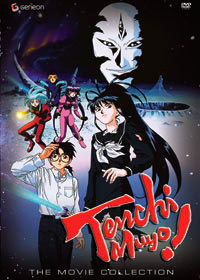 Tenchi’s troubles aren’t over yet as the Jurai princesses, the strict, Ayeka and, the playful, Sasimi and, the clumsy, Galaxy Police Officer Mihoshi fall from space attempting to capture Ryoko for her crimes as a space pirate. 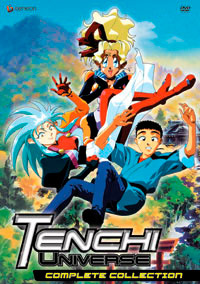 With four beautiful women stranded in his house, will Tenchi ever get any rest?! Now usually I don’t like harem anime series. 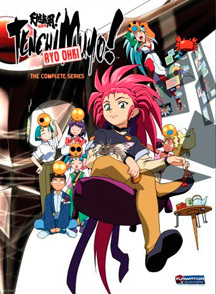 But the OVA episodes of Tenchi Muyo! 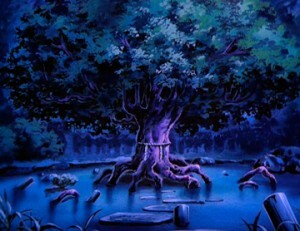 Ryo-Ohki! are full of epic action scenes, unique space monsters and villains, funny scenes, fan service, and the anime is hand-drawn. 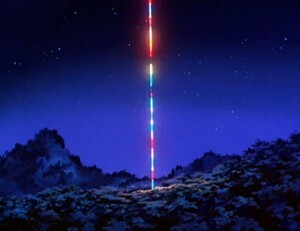 I think that the best part of Tenchi is its humor. 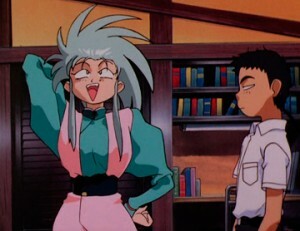 Some of the humor of Tenchi Muyo! 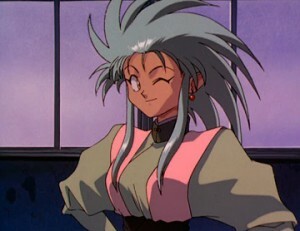 comes from how fast the girls fall in love with Tenchi; the girls fall in love with Tenchi basically right after they meet, which is just ridiculous. 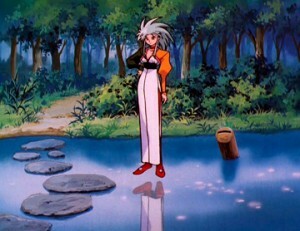 But where I really think some of the best humor comes from is anything that Ryoko is involved in. 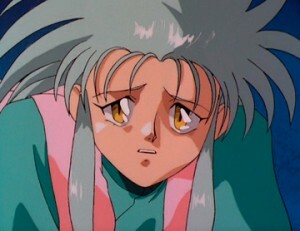 Whenever Ryoko tries to charm Tenchi (more like stalk), she either gets temporarily rejected by Tenchi or gets into a fight with Ayaka which usually ends in destruction of Tenchi’s grandfather’s house. 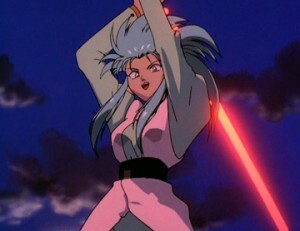 The fighting brings in another great part about Tenchi Muyo! 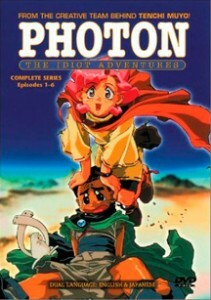 which are the main characters’ powers. 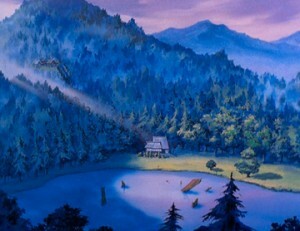 All the main characters in the series have special powers that come from their origination. 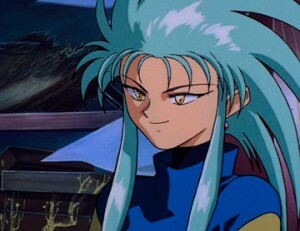 For example, Ryoko got her destructive powers from her creator while Ayaka got her spiritual powersfrom the fact that she is from the planet Jurai. And because the characters have unique powers, the creator of the series can come up whatever kind of crazy names for all of the powers that he wants to. But don’t watch the sequels or spin-offs because there is a lot less action in every aspect of the series. 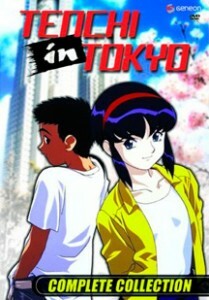 Relation: spinoff of Tenchi Muyo! 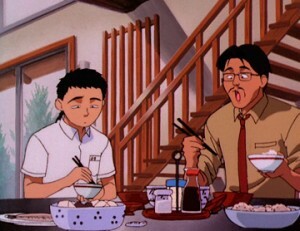 Relation: created by the same creator of Tenchi Muyo!